We wish to acknowledge the elders past and present of the Bundjalung people, the Traditional Custodians of Country in this region, which now nurtures us, as it has them, since time immemorial. 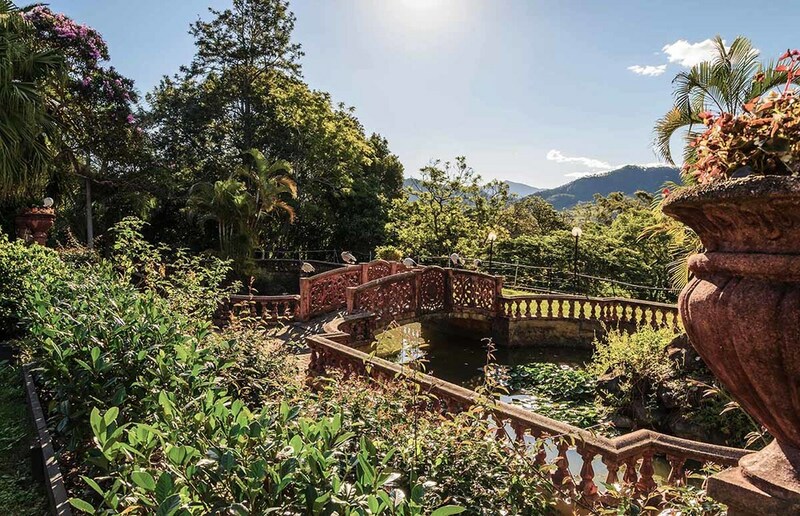 Nestled in the foothills of Mount Warning, in the heart of the Northern Rivers of New South Wales, the Hare Krishna Farm “New Govardhana” is a beautiful 1000 acre property with orchards, organic veggie gardens, cows, horses, streams and swimming holes in abundance. New Govardhana serves as an ashram to a community of yogis who aspire to live according to their deepest vows and commitments on their path of service, spiritual contentment and happiness, Bhakti Yoga. Their service and dedication make this location a beautiful place of growth, healing and spiritual awakening.